LEARN IT THEN SLEEP This may sound rather bizarre, but have you ever noticed that when you watch a thrilling movie before you sleep, you either end up dreaming about it or have rather exhausting dreams in general, and possibly simply just wake up tired. Well, a number of studies confirms that whatever your brain worked on before sleep is what your brain will work on while sleeping. Therefore it was suggested that there is some value in sleeping straight away after learning something new. Granted the test was done on mice, but studies suggest that this finding also applies to people. Without going into all the scientific details and terminology, the study in summary explains that when we learn a new skill, neurons in our brain are activated, and new connections are created. If we follow the learning activity straight way with sleep, the information we have learned within our brain is preserved and retained more effectively. What does this mean for students? Be studiously active before going to bed. That means stay away from random unproductive activity during a prime learning time. So before you sleep, actively study your information; practice your presentation; do your chem problems; flip through your study notes; talk through your notes; draw mind-maps … or whatever else you normally do to study for exams. Hopefully this helps with the retention. STATIONERY SALE + further 10% off gorgeous stationery + FREE SHIPPING WORLDWIDE. Be the boss of your time. 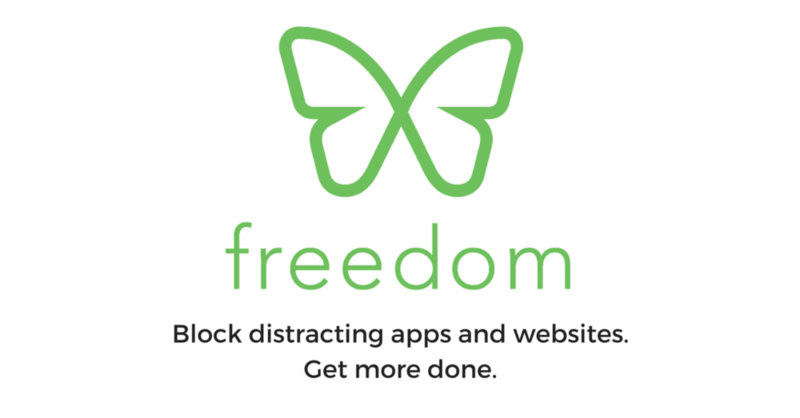 Block social media and website distractions while you're studying! Download the Freedom app.